On My Tandem island 2015, the rode for the adjustment position of the front seat is stuck in height position since a year. I thought it was just a mechanical problem and because I use it in height position only, I leave it like this. I rince this part with fresh water after each use and never see any corrosion at this point before. 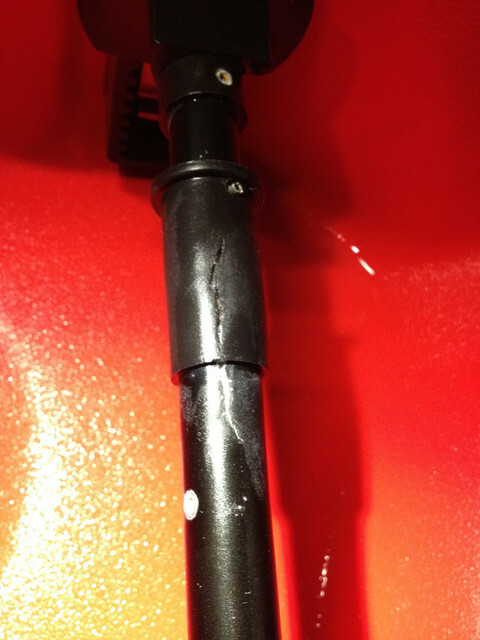 Where you can see a white mark, the rod is opened and corroded. 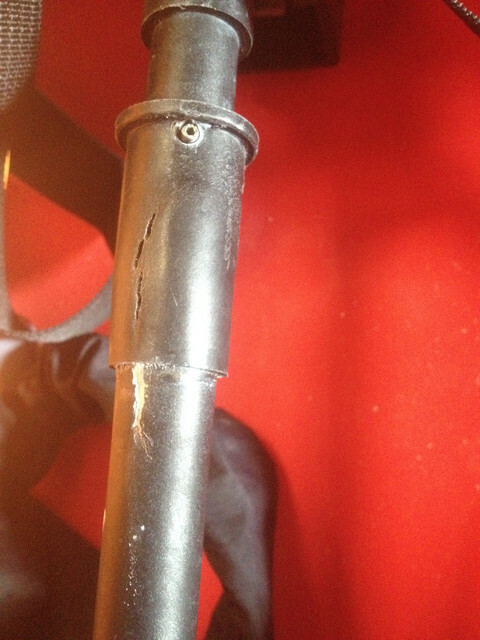 There is clearly a corrosion issue from inside who made the rod inflate and cracked. I read on other post it could be a broken spring, but I am very surprise of a such effect. I send this case to my retailer and I don't even know the part number for this. Do you know how it's made inside and how to prevent this, because fresh water and moving it time to time was not enough for me. I have to wait to receive the replacement part before investigate because I thing removing this rod will be destructive. I just notice the crack increase between those pictures, it was just a trip of 3 hours. 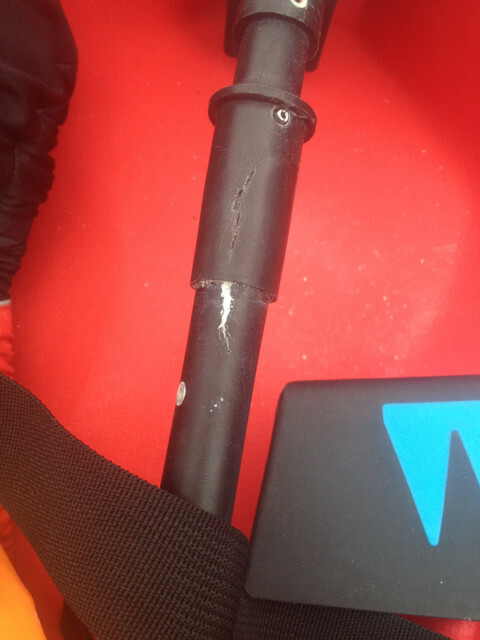 Is it possible that water was trapped inside and then froze causing the crack? I live in south of France, No frozen temperature since last February and my kayak is sleeping indoor. That is corrosion from trapped salts.